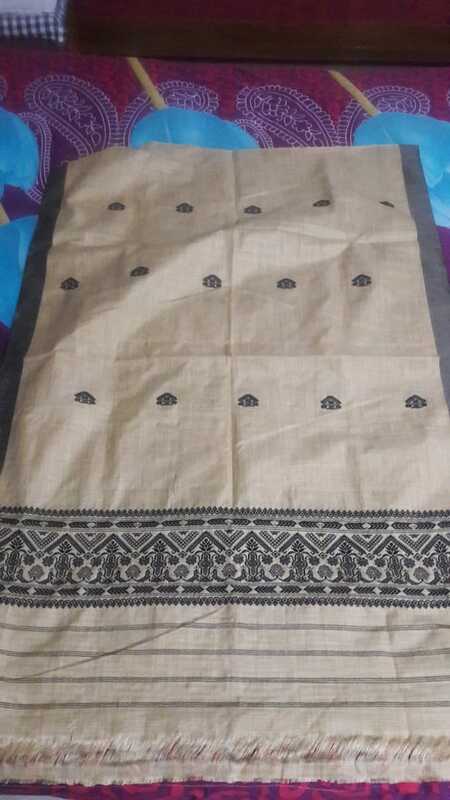 Kamal from Guwahati bought this item recently. 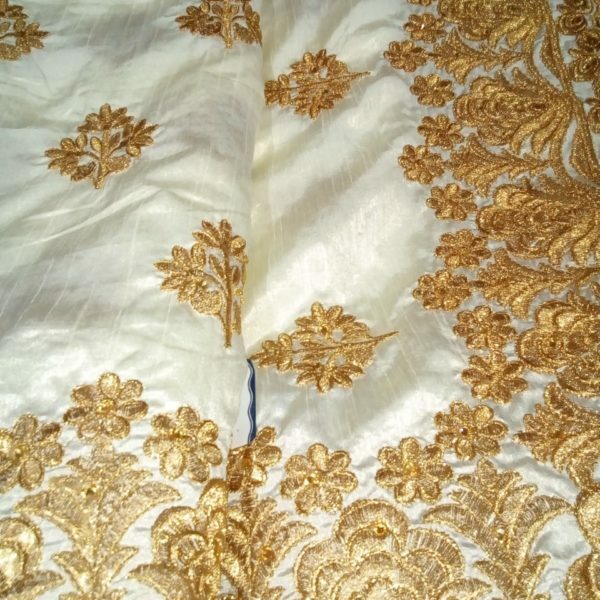 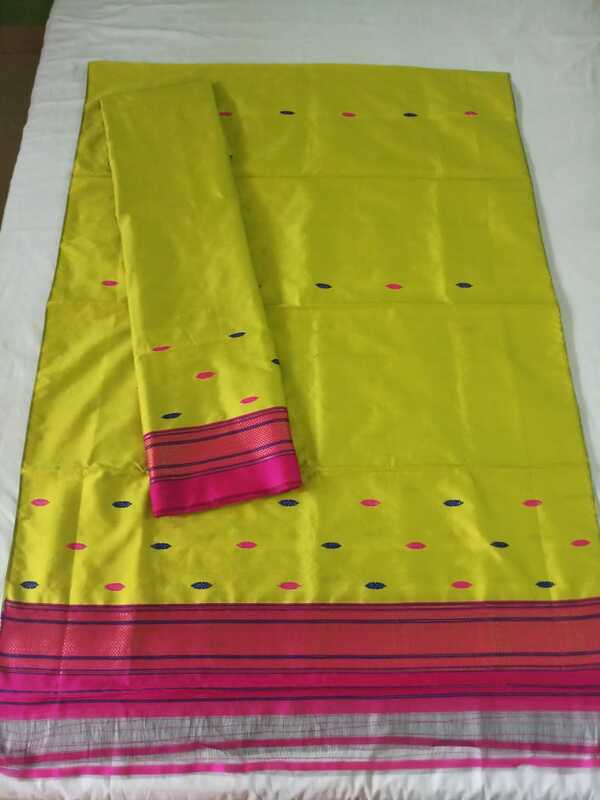 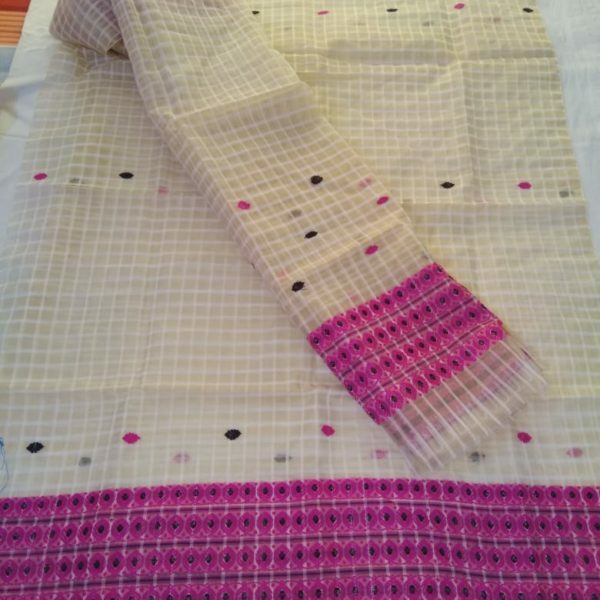 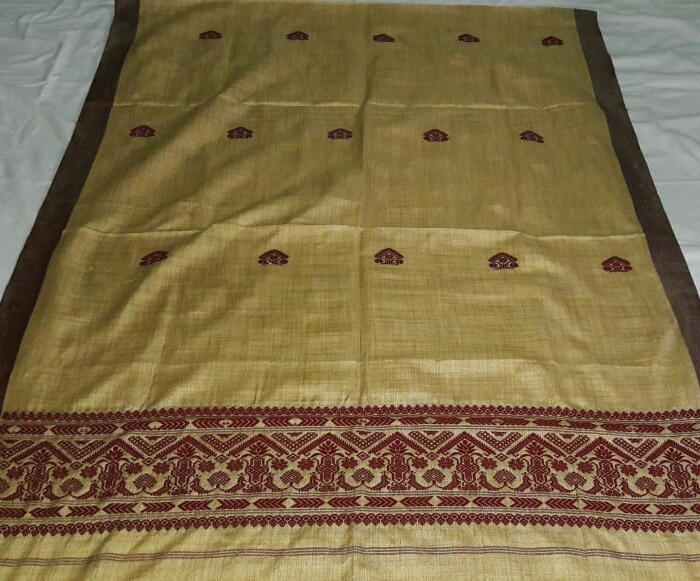 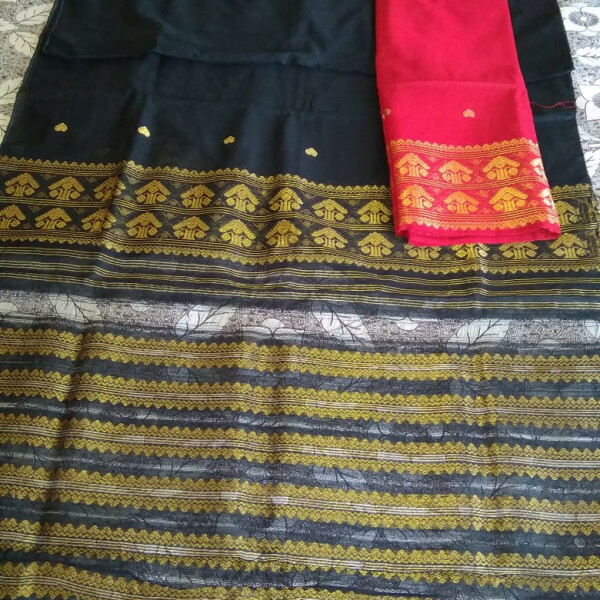 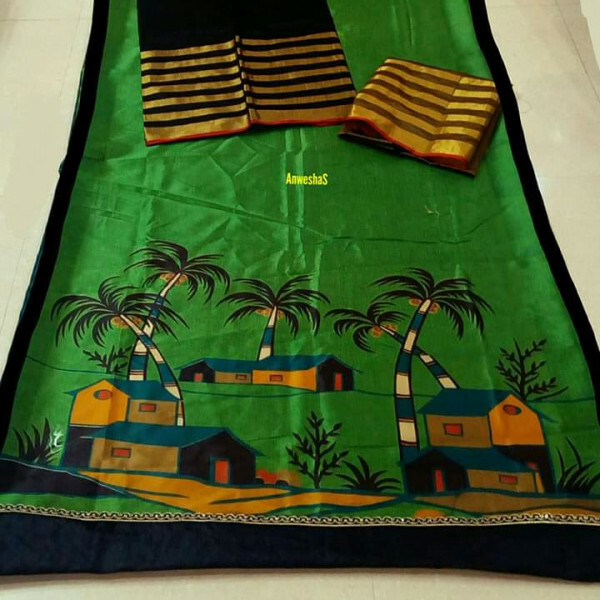 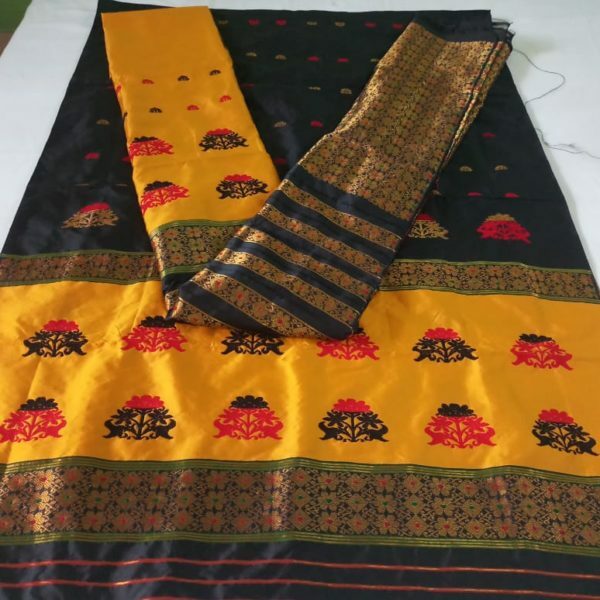 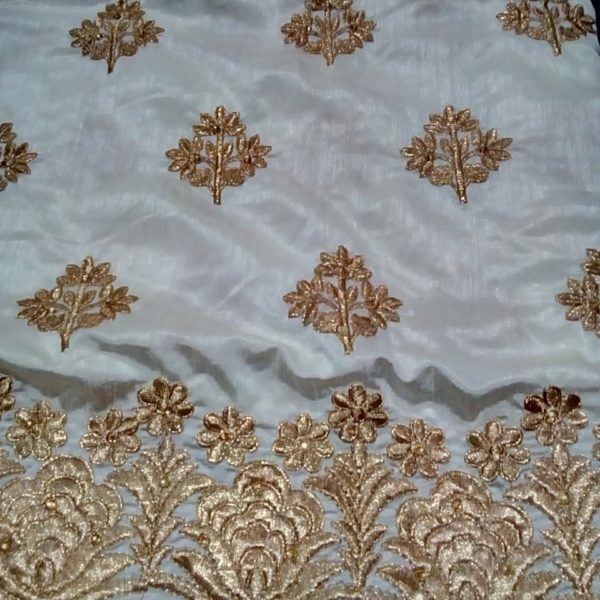 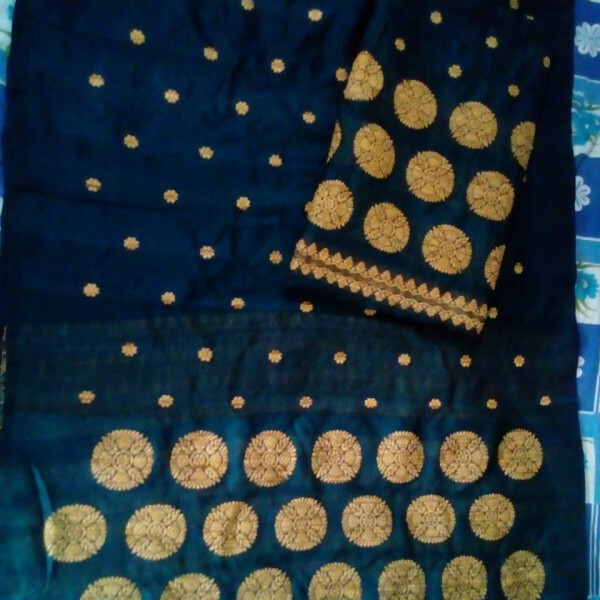 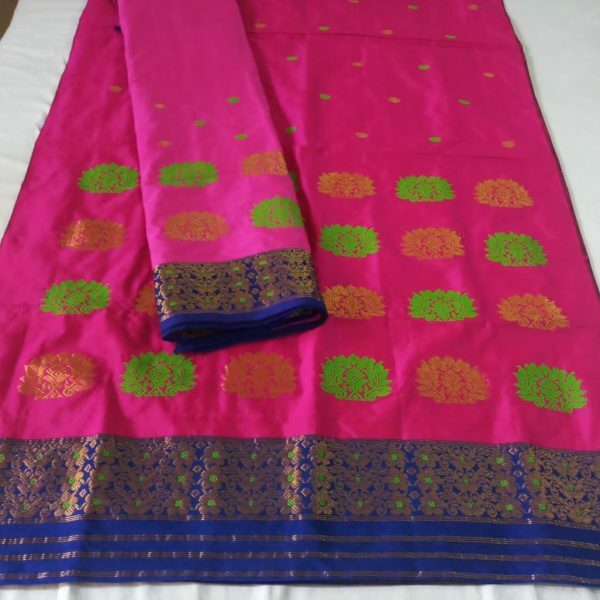 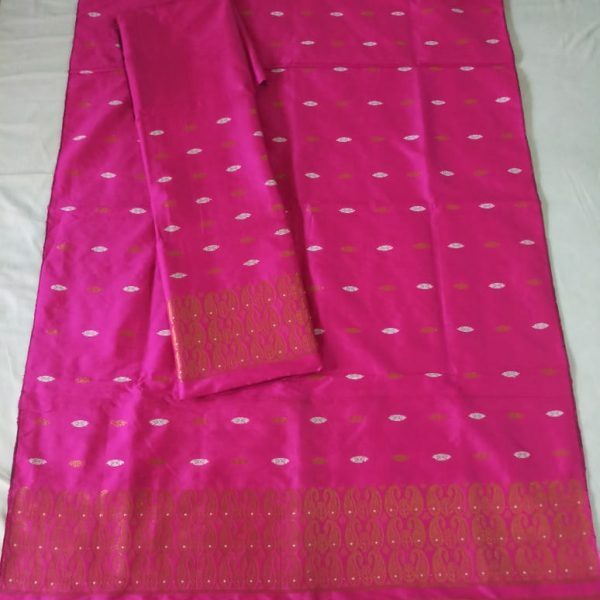 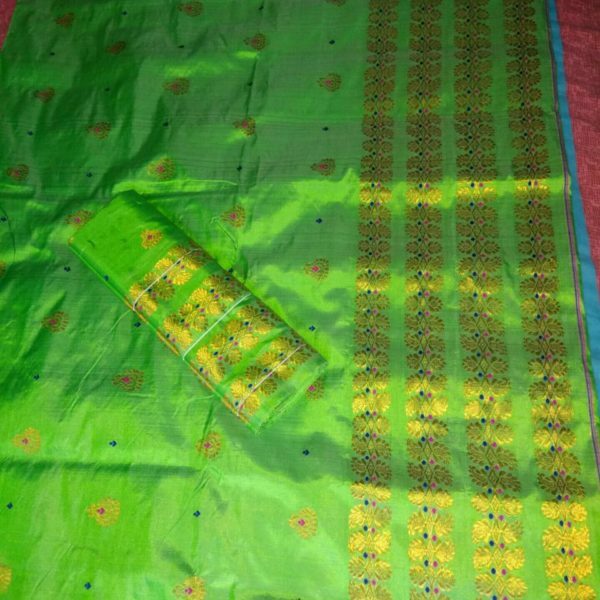 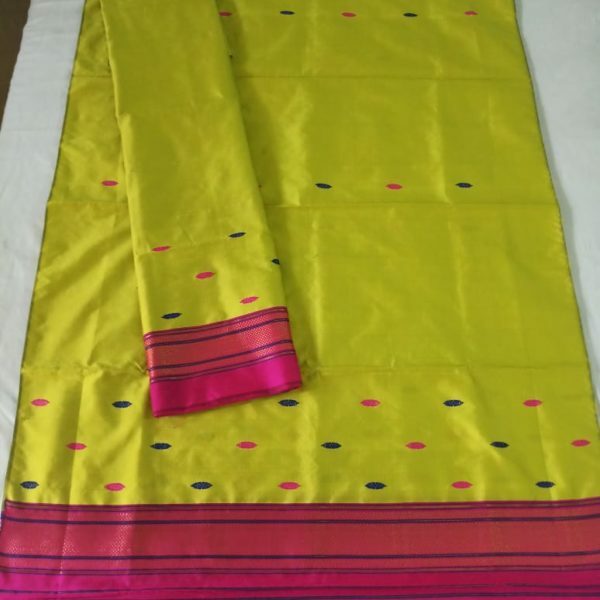 This is a beautifully designed Ludhiyana Paat Mekhela Sador in combination of golden and yellow color where the designer made small designs using blue and pink threads which is also called “Buta Bossa” locally. 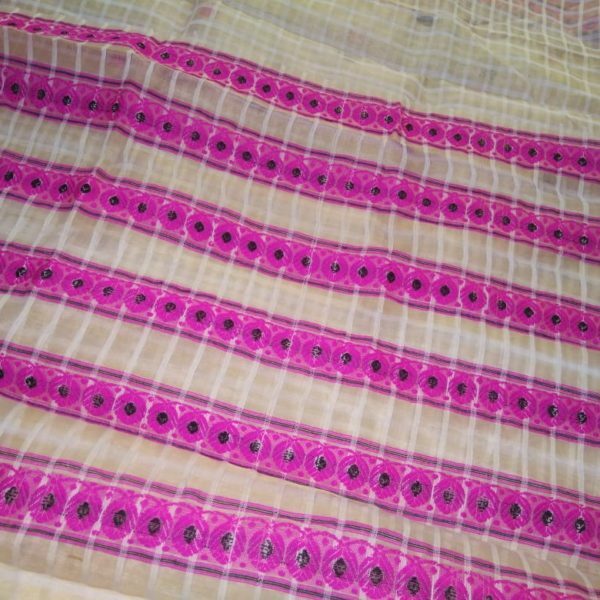 Use dry cleaning methods to clean and wash this product for longevity.